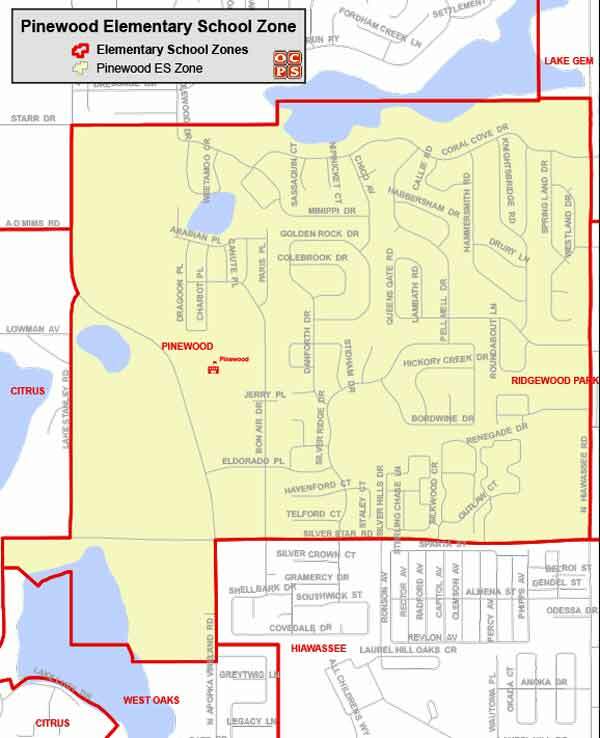 Searching for a home within the Pinewood Elementary School Zone? Then you are in the right place! We work hard to make your next home search easy and efficient, so that when you are ready to buy or sell, we are ready to help! 3005 N. Apopka Vineland Rd. Pinewood Elementary School History and Information: Pinewood Elementary is a Title I school located in the North Learning Community (Northwest Orlando). Students in Grades K-5 receive 90 minutes of reading instruction each day and are grouped by achievement. Students use the Imaginit reading text and classrooms have additional learning resources for all achievement levels. Reading Mastery, a Success Maker reading lab, and FCAT Explorer are used to enhance our students’ reading skills. Students at Pinewood use the Envision Math along with the math lab, Fast Math, ST MATH and FCAT Explorer for the purpose of increasing student achievement to meet math benchmark requirements. A Mathematics Instructional Support Teacher works in conjunction with classroom teachers to improve the delivery of math instruction by providing students with the mathematics skills necessary for success. Teachers at Pinewood will utilize the Science Lab to increase student exposure to the Scientific Method through and Inquiry based means of instruction by increasing student achievement to meet science benchmark requirements. The Science Instructional Support Teacher works in conjunction with the classroom teacher to provide students with the science skills they need to be successful. The Fine Arts rotation is used to enhance students’ skills in creativity with art, and musical interest with music, athletic interest with physical education, reading interest with Media Center book check out and technology skills in order to better prepare them for the world of business. In their computer class students learn keyboarding skills, proper and safe Internet skills, Microsoft applications, and software applications. Pinewood Elementary has earned the Five Star School Award annually since 2009, for our outstanding parent and community involvement activities. The Golden Star School Award has been awarded to the school for several years, based on the volunteer countless hours by our school ADDitions.